Dance Now! 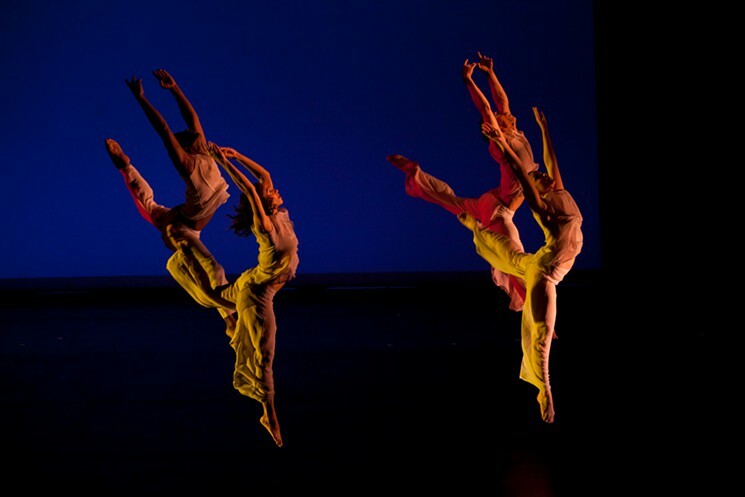 Miami recently performed choreographer Edward Stierle’s moving Lacrymosa. Stierle choreographed the piece when he was 19 died at 23. The Joffrey Ballet premiered it 20 years ago. Photo: Dance Now! Miami | Jenny Abreu. Lacrymosa is an autobiography. Instead of experiencing it in print the audience is introduced to this life story with a thirty-minute dance drawn heavily on ballet. It is a brief dance—as was the life it chronicles. Edward Stierle choreographed the piece when he was 19 to speak of his life and experiences as a teenager with AIDS. He died of the disease four years later. Dance Now! hopes to bring him back to life, at least for one weekend. “His movement is very much so a story that is being told, that is undeniable about him facing death and really living out loud until his last breath” said Anthony Velazquez, the dancer who will perform as Stierle on the Miami stage. Velazquez will be joined on stage by Dance Now! Artistic Director Diego Salterini dancing the role of Death. Lacrymosa, which means tears, was originally performed by the Joffrey Ballet where Stierle was a principle dancer. Dance Now! is a contemporary dance company rather than ballet company. It’s the first time the piece has been performed by a contemporary dance company. They have brought it to Miami for a special purpose; one of their performances of Lacrymosa will be part of LGBT Youth Night, a private free event for LGBT people under 21. Kim Sagami, who danced with Stierle in Joffrey Ballet, traveled to Florida from Chicago to stage the show as director. He and the cast believe this is a timely performance. Florida is having an AIDS crisis, leading the nation in new HIV infections per year. Miami-Dade is consistently either first or second on that tragic list.